I’ve never been one of those girls who has to have an entire entourage around her to go to the bathroom. It’s not something I really understand. I’m perfectly capable of using a lavatory for its intended purpose without help from a gaggle of acquaintances. In fact, that’s not something I WANT to share with anyone else. Nor do I especially want to hang out in there while my friends do their business, either. And I don’t get why the bathroom, for some of the female persuasion, seems to be the hot spot for girly conversations. I mean, I like to talk to my friends, sure, but I can think of WAY better places than the ladies’ room at the mall. The restroom conversations I’ve unfortunately overheard over the years tend to range from silly to completely moronic. It’s not the kind of thing I ever expected to find in DDO, but in Tirae’s trip to the summoning chamber a few nights ago, I’m pretty sure some of the people in her instance were teenage Valley girls. We kept getting dire DM warnings about having less than 16 people, so some intrepid soul took charge and asked for callouts as to how many were in which altar room and on which lever. Several places were being soloed (including Tirae on her lever and the guy below in the corresponding altar room); I’m pretty sure there was one lever with NO ONE on it. Again, seriously? You’re so NON-self-sufficient that you need another monk and two healers? And being a 21-25 instance, I’d expect pretty much ANY class in there to have at least SOME self-sufficiency. But they refused to split up, and of course, the dragon ended up winning. I found it interesting that the snarky non-self-sufficient dark monk bitched up a storm about no one pulling the lever for their room – I have a feeling there was no one ON the lever to their room. 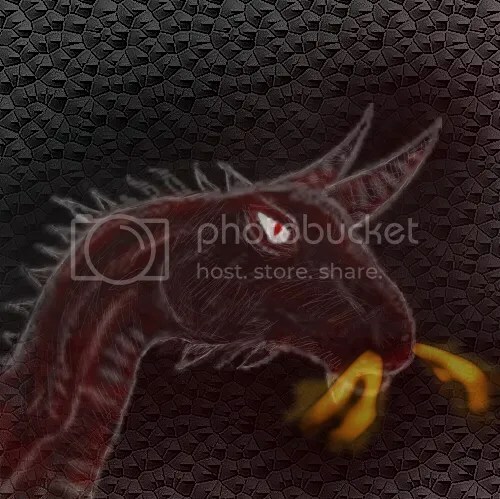 Dark monk: Lyk, OMG, I hope the dragon doesn’t shoot flames at us, it might melt my rouge! Cleric 1: Lyk, we don’t have a rouge, dummy, there are no traps in here. Dark monk: Oh yeah, haha! Cleric 2: EEEEEEE! Gargoyles! OMG, they are lyk SOOOOO fugly! Other monk: Ewwww, I think this one lyks me! Get him off me! Dark monk: I can’t, I just broke a nail! Dungeon master: The dragon has escaped. Dark monk: Oooh, good, it’s over, let’s go back to Delera’s gate. That one wizard was really hot! On the plus side, although there’s only so much Mabar I can take, I managed to make Zak a level 8 Robe of Shadow, and he’s got a level 12 Cloak of Night in the bank. Chartreusia and Chalei are proudly sporting their new cloaks as well. Tirae has her Wraps of Endless Light (I forget which level I got to, but I really should’ve spent a little more time on Cannith farming for her), and favor farmer Rhennie on Sarlona has a pair of level 4 wraps.